Dubai: The Dubai Land Department (DLD) has achieved another technical milestone by becoming the world’s first government entity to adopt Blockchain technology. The comes in line with the "Dubai Blockchain Strategy" launched by Shaikh Hamdan Bin Mohammad Bin Rashid Al Maktoum, Crown Prince of Dubai and Chairman of the Board of Trustees of Dubai Foundation for the Future. The initiative has been developed in cooperation with Smart Dubai and other partners. At Gitex Technology Week 2017, which runs from 8 to 12 October at the Dubai World Trade Center (DWTC), DLD will launch the initiative, the first-of-its-kind in the global real estate sector, under the slogan "Simple, Secure, Fast". DLD has created the Blockchain system using a smart and secure database that records all real estate contracts — including lease registrations, and links them with the Dubai Electricity & Water Authority (DEWA), the telecommunications system, and various property-related bills. Blockchain's secure, electronic real estate platform incorporates personal tenant databases, including Emirates Identity Cards and the validity of residency visas, and allows tenants to make payments electronically without the need to write cheques or print any papers. The entire process can be completed electronically within a few minutes at any time and from anywhere in the world, removing the need to visit any government entity. Bin Mejren added: “Following the launch of the Dubai Blockchain Strategy by Shaikh Hamdan Bin Mohammad in October 2016, which aims to make Dubai the first government in the world to apply all transactions through this network by 2020, DLD created a smart and secure database that records all real estate contracts. "This makes DLD the first government entity in the world to implement all of its transactions through the Blockchain network. As the system simplifies people's lives by using an integrated system, we are working directly with Smart Dubai to provide our customers with utmost satisfaction and avoid wasting their valuable time. In order to promote public-private partnerships, DLD has collaborated with a number of key partners in this initiative, including DEWA; wasl Asset Management Group, one of the largest real estate developers in Dubai; Emirates NBD, the banking partner for the initiative; and IKEA. All existing and future partners will be included in the system’s database to provide access to detailed information and ensure customer convenience. 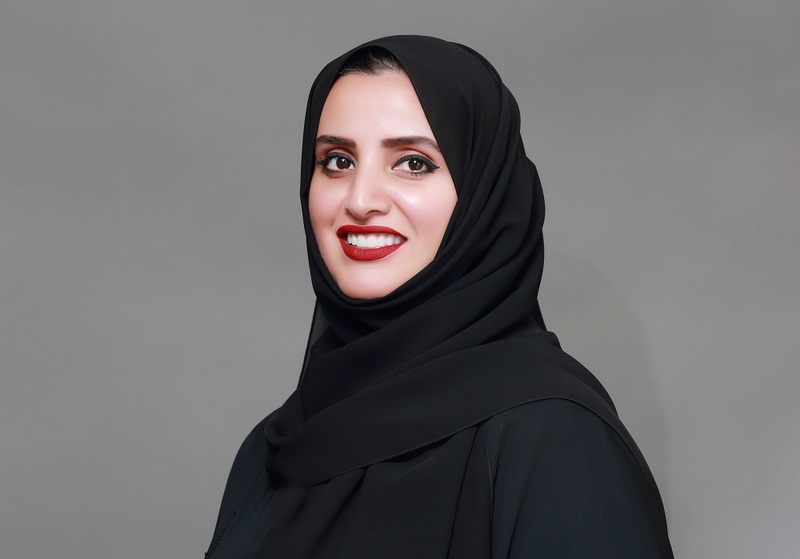 Dr. Aisha bint Butti bin Bishr, Director General of Smart Dubai Office, said: “In Dubai, we make the future based on the inspirational words of our leadership, which epitomise the Emirati equation for building a better future for Dubai and the whole country. "This underpins our launch of a Blockchain system while the rest of the world is still testing this technology. I congratulate DLD for taking the lead in this initiative and moving us one step closer toward achieving the ultimate goal of the Dubai Blockchain Strategy launched last year by Shaikh Hamdan Bin Mohammad, which is to transform Dubai into the first government in the world to undertake all transactions through the Blockchain network by 2020.” said Dr Aisha. Wesam Lootah, CEO of Smart Dubai Government (SDG), congratulated DLD and said: “Dubai has committed itself to minimising the time needed to complete transactions, and DLD has furthered this mission by introducing its Blockchain system. "It has not been long since we launched the Blockchain initiative in government transactions and formed the government team to work under the leadership of SDG in March. Based on this initiative, DLD will be able to create a Blockchain database for all Dubai properties, which will be available to DLD’s customers as well as all of its government and private sector partners. The technology will allow investors residing in Dubai and around the world to verify property data that is backed by timestamp signatures, enhancing the accuracy of data, the credibility of investment transactions, and the transparency and clarity of the market. Wasl Asset Management Group has opted to join this initiative to benefit from the ability to renew tenant lease contracts via Blockchain, as well as from the smooth, convenient and paperless service provided by the system. The tenant can access the system through a personal identification card to complete several processes such as contract renewals and smart payments through Emirates NBD. The electronic process is carried out once the cheques are received and verified by the bank. DLD registers the contract data and provides customers with a specific number for ‘Ejari’ and DEWA so they can renew their electricity and water metres within one integrated system and without the need for any documents. The General Directorate of Residency and Foreigners Affairs in Dubai plays an important role in this system, as it is responsible for verifying residency data and the existence of all required documents. While the first phase of the initiative is limited to Wasl Asset Management Group, DLD will open the door for other property development and management companies to include their properties in the system, allowing a wider number of customers to benefit from the Blockchain database. The Department of Economic Development (DED) will enter the database during the second phase. Blockchain’s services are currently available only to landlords and tenants, but the next stages will include developers and investors, with the potential to offer properties for sale. Bin Mejren said: “Blockchain, as the name suggests, is very similar to a long chain in which each partner serves as a loop, with the whole chain providing all services in one location. We have ensured that all procedures will be fully integrated so that customers do not have to move between different service centres to complete procedures. Emirates Real Estate Solutions (ERES), the technical arm of the Dubai Land Department, is working on the development of Blockchain in collaboration with a number of external partners including Emirates Identity Authority, DEWA and Emirates NBD.